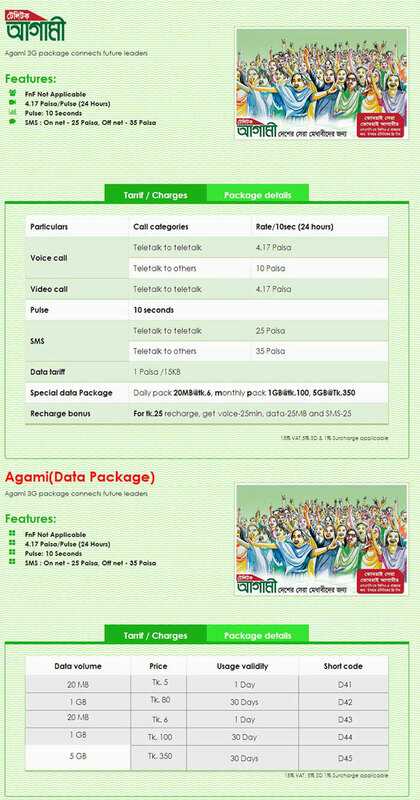 Teletalk Agami SIM for SSC GPA 5 Holders | agami.teletalk.com.bd. Teletalk Agami SIM Registration is going on. This time the Teletalk authority will provide Agami SIM to the GPA 5.00 holding SSC passed students of 2017 and those GPA 5.00 holding SSC passed students from 2010 to 2016 who haven’t got the Agami SIM yet. Teletalk Agami SIM will be distributed to GPA5 holders at SSC & Equivalent level. All the students having GPA5 in SSC and Equivalent Examination of 2017 are eligible for Agami SIM registration. The students who haven’t got Agami SIM previously having passed SSC Exam from 2010 to 2016 are also eligible for Agami SIM registration. The students who have got Agami SIM earlier are not allowed for Agami SIM Registration. GPA5[Space]Board Short Code[Space]Roll[Space]Passing Year[Space]Contact No[Space]CC Code (Optional) and send it to 16222. 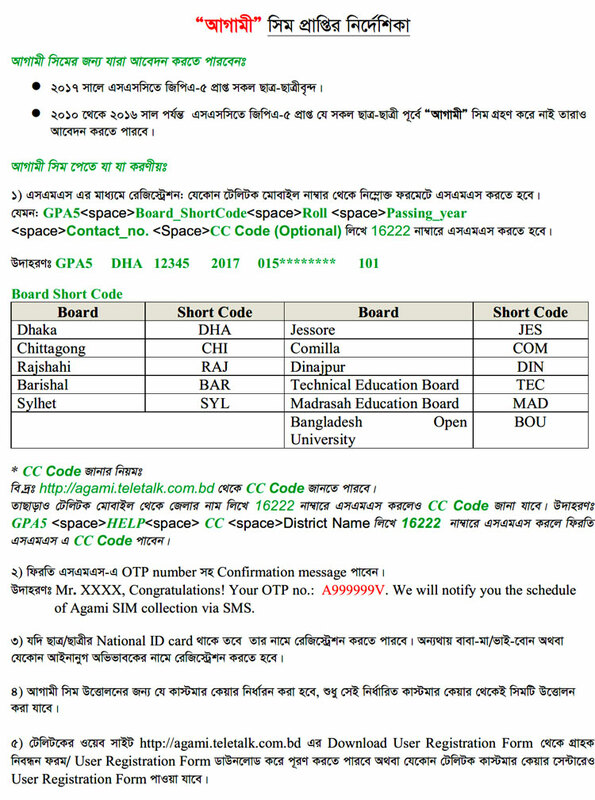 Students can get the CC Code from the official website http://agami.teletalk.com.bd/. GPA5[Space]Help[Space]CC[Space]District Name and send it to 16222. If the student has National ID card of his/her own then he/she can register in his/her own name. Otherwise the student has to register in other’s name who has National ID card. Student can collect Teletalk Agami SIM from his/her Chosen Customer Care after getting SMS from Teletalk. Like Our Facebook Fanpage facebook.com/resultnotice to get the latest updates of Teletalk Agami SIM Registration and get further updates. This entry was posted in Notice, Uncategorized and tagged Agami SIM, agami.teletalk.com.bd, Teletalk Agami SIM, Teletalk Agami SIM Registration, teletalk.com.bd by Result Gov BD. Bookmark the permalink.